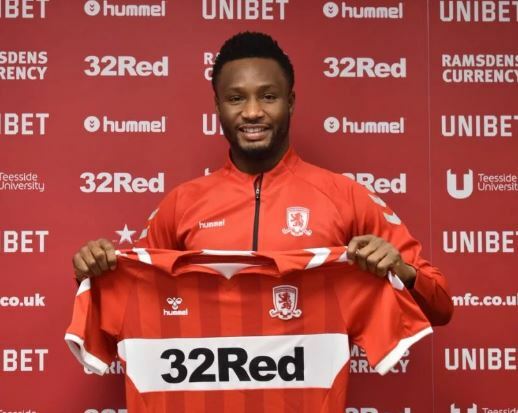 Middlesbrough’s new signing, John Mikel Obi has said that he hopes to help the English Championship side get promoted to the Premier League. Mikel stated this shortly after he signed for Middlesbrough on Thursday afternoon. The Super Eagles’ captain joined Middlesbrough on a six-month deal after he tore up his contract with Chinese Super League (CSL) side, Tianjin TEDA. “For me, it’s looking at the project,” the 31-year-old told the club’s official website. Mikel will be expected to make his debut for Middlesbrough when they take on Newport County in an FA Cup clash scheduled for Saturday, January 26.